^ a b 海人社 2007. ^ a b c d 中名生 1994. ^ a b c d e f g h 海人社 2008. ^ a b c d e f 吉原 1994. ^ a b c 野木 2008. ^ a b 海人社 2011. ^ a b 大熊 2006. ^ a b 宮本 1994. Friedman, Norman (1983). U.S. Aircraft Carriers: An Illustrated Design History. Naval Institute Press. ISBN 978-0870217395. Polmar, Norman (2006). 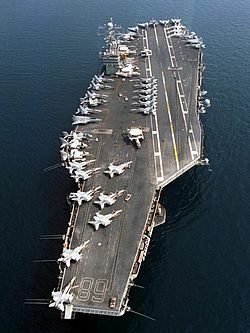 Aircraft Carriers: 2. Potomac Books Inc.. ISBN 978-1574886634.